Are you a new business owner who has established a local brick-and-mortar company? Perhaps you are a restaurant or a nightclub, a manufacturer of uniforms or even a retail outlet. Whatever your line of business, you may not be aware of just how important an online presence is and as time goes on, we are finding that simply listing your company on Google local or compiling a profile for LinkedIn isn’t sufficient. 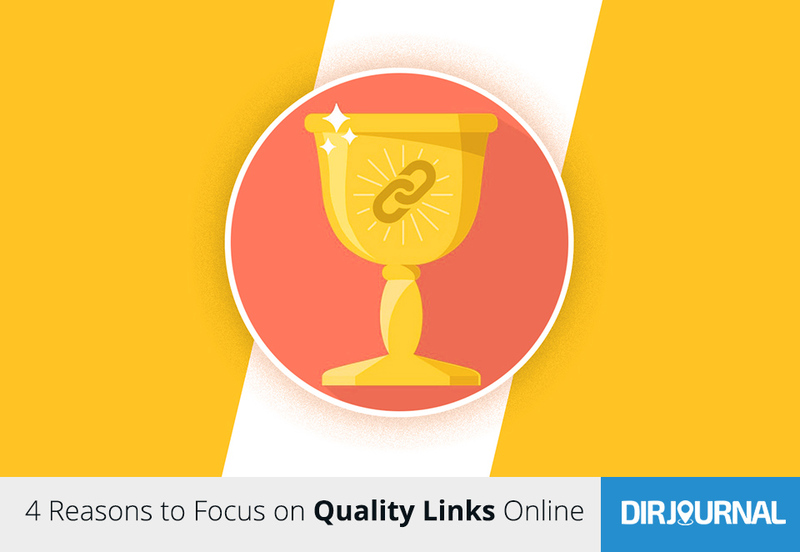 Here are four reasons why every new business needs to focus on quality links online. The first thing you might be asking is why links, or links to what? That is a very good question and here is the simple answer. You need a website! Quality links will direct copious amounts of traffic to your website which, within the past decade, has been more important than ever before. Most people searching for a business use a mobile phone, but they aren’t just looking for your phone number or your address. They are looking to click through to your website to see who you are, what you have and if they want to take a chance traveling to your location. Now then, we’ve mentioned ‘mobile devices’ and this is one of the very most important things you can take away from all this. Google rewards high quality links from mobile-friendly sites and totally ignores links that come from sites that are not responsive. A high quality link comes from a website that is in tune with what the search engines are looking for and so you need to link from websites that are a) responsive and b) highly ranked by Google. These are sites of authority and will quickly help you gain rank as well. One of the hardest things to combat in marketing is the amount of competition that is out there. However, by building rank through high quality links to your website, you accomplish a number of things which your competition may not be using. First, you will be gaining rank quickly over time so you can be found first with a higher position on the SERPs (Search Engine Results Pages). Secondly, you will be directing traffic to your site ready to see what you have to offer and looking to buy. Quality links give you the opportunity to promote what you do and what you have to offer, so visitors are actually those who have been ‘qualified’ and ready to commit. Finally, quality links come from well-respected sites of authority and these are viewed as an introduction. It’s like the old saying, “It’s not what you know but who you know.” Take for example an innovative new streaming television service like VIDGO. Now television viewers are able to watch their favorite programs at the time they are being broadcast on their laptop or mobile phones without the need to be glued to their home. It was years in the making and took getting past government regulations to make it happen, but it is here and being launched with programming from key markets as you are reading this. Who would have known about a pay-as-you-go streaming television service offering all the major networks and local programming as well if not for being promoted through links back to their site? You can take advantage of this same type of promotional marketing but only if you are selective in the types of links you utilize. While everyone has a social media page, even local businesses that have no websites, it is the business with a well-developed, high quality website that gets the traffic and sales. If you are a new business of any kind, make sure you have a professionally developed website and build high quality links. In this way, you will blow the competition out of the water and gain credibility for your brand in the quickest way possible. Looking to grow your business almost overnight? Quality links are a big part of the solution.